While the Delhi government allowed microbreweries in 2015, restaurateurs say that procedural delays have stopped them from investing in the city. 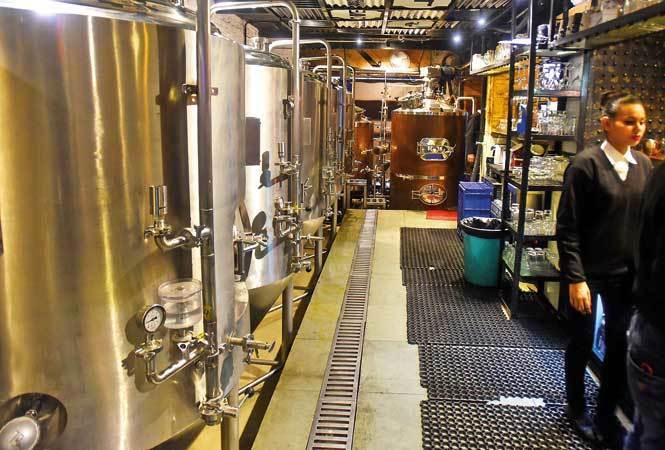 From two in 2011 to almost 100 in 2019, there has been a steady rise in the number of microbreweries in Gurgaon. In fact, restaurateurs say that “having a microbrewery is as important as having a kitchen for a restaurant in Gurgaon now.” On the other hand, Delhi is still waiting for the final go ahead from the authorities on setting up microbreweries. In 2015, the Delhi government had announced in its Excise Policy for 2015-16 that hotels and restaurants would be allowed to open microbreweries within their premises. However, microbreweries were under the prohibited category of “liquor-making plants” in Delhi Development Authority’s (DDA) Master Plan for Delhi 2021. More than two years later, in 2017, Lieutenant Governor Anil Baijal cleared the technical hurdle and approved that microbreweries be moved out of the prohibited category. It’s 2019, and despite the LG’s approval, the Excise Department is still waiting for the notification of the changes in the Master Plan to frame a policy to allow the setting up of microbreweries in Delhi, say reports. In September last year, the DDA had cleared the proposal to facilitate the setting up of microbreweries and the proposal has been sent to the Union Ministry of Housing and Urban Affairs for notification. 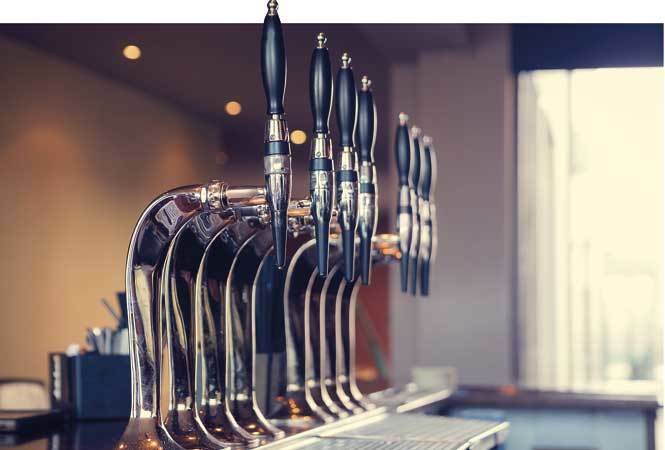 While this procedural delay has discouraged Delhi restaurateurs from investing in or even planning setting up of microbreweries, having a microbrewery has become a necessity for restaurants and bars in Gurgaon as the demand and popularity of freshly brewed beer continues to rise. 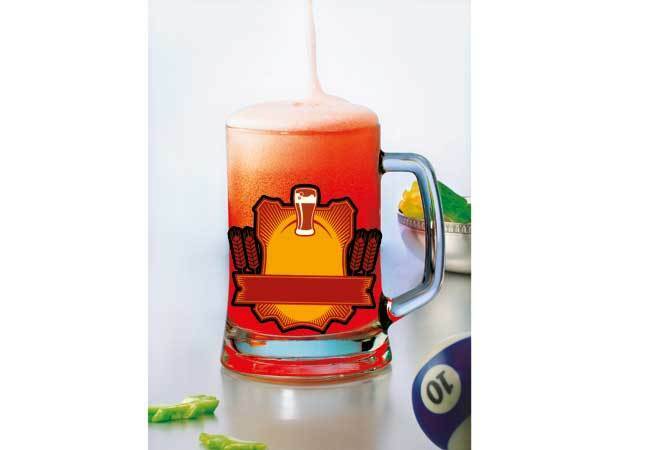 “A few years back, having a microbrewery was a fad in Gurgaon, but now it is a necessity. People choose restaurants on this basis as most beer lovers prefer freshly-brewed beer over bottled ones. So it is no surprise that in the last one year, almost every second restaurant in Gurgaon has a microbrewery,” says Ashwini Chaudhary, owner of Soi7 Pub & Brewery at Cyber Hub, one of the oldest breweries in Gurgaon. According to sources, around four restaurateurs invested in microbrewery plants in 2016 after the government allowed hotels and restaurants to open microbreweries within their premises. However, because of the delays, some restaurateurs shifted those plants to Gurgaon, while others are still awaiting the final clearance. Ashwini Chaudhary was one of the restaurateurs who invested in a microbrewery plant in 2016 at a Vasant Kunj mall. “In 2016, after the announcement from the Delhi government, we opened our first outlet with a microbrewery setup in a mall in Vasant Kunj, but the proposal never went ahead. We didn’t want to suffer losses, so we shifted that plant to Gurgaon. It is still a risky proposition to invest in a microbrewery setup in Delhi,” says Ashwini. Microbreweries are one of the reasons why many Delhiites choose Gurgaon over Delhi to party. The number of people who drive from Delhi to Gurgaon just to enjoy freshly-brewed craft beer hasn’t gone down in the last few years. “Apart from those coming in from Delhi on weekends just to have fresh beer, there is a significant number of Delhiites who work in Gurgaon and prefer to stay in Gurgaon after office hours to enjoy craft beer. The majority of our guests prefers freshly-brewed beer over a bottled one,” says Inderjeet Singh Banga, owner of Prankster at Sector 29 in Gurgaon. After Cyber Hub, Sector 29 is the most sought-after destination for diners and partygoers in Gurgaon and the area boasts of around 50 microbreweries, the largest number in any area in Gurgaon. “Microbreweries have been an asset to Gurgaon’s nightlife and they are still the primary reason why many people from Delhi and other cities prefer coming to Gurgaon just to have a glass of beer. The reason why most microbreweries are in Sector 29 is because the area is popular among the young crowd. At a place like Cyber Hub, which is popular among the more ‘mature’ guests – who are willing to experiment and try different drinks – with high spending power, craft beer is not as popular as it is in Sector 29. Freshly brewed beer is also cheaper than bottled beer and it tastes better, so most youngsters who want to drink beer, prefer going to a place with a microbrewery,” says Manish Sharma, co-owner of The Drunken Botanist at Cyber Hub and Molecule Air Bar at Sector 29 in Gurgaon. One of the things that Piyush Jain, owner of Decode Air Bar at Sector 29, learnt during his market research before opening his restaurant was that having a microbrewery is one way to get the place talked about in Gurgaon. “Microbreweries are a speciality in Gurgaon and there is no way one can survive the market pressure without having one,” says Piyush, who opened his restaurant just a few months back. Those in the F&B industry say that the business of a restaurant depends 60% on alcohol and 40% on its food. For those restaurants that have microbreweries, around 40% of that 60% comes from freshly-brewed beer. And keeping the competition in mind, it’s no wonder that restaurateurs are coming up with different seasonal flavours to offer their guests something new. “Forty per cent of our revenue is driven by craft beers, so we have to make sure that we offer something new to our guests to stay ahead of the competition. We keep introducing seasonal flavours and interesting food pairings. Our efforts have been showing results so far and we have guests coming in not just from all over Gurgaon, but also from different parts of Delhi, like Vasant Kunj, Safdarjung Enclave and central Delhi,” says Rohan Kumar, Managing Director, Fantom Bar & Brewery, Golf Course Road. Inderjeet adds that 35-40% of their revenue is from craft beer and to meet the competition they have introduced flavoured beer as well. “We offered mango beer in summers, which did very well, and in winters, lychee and apple cider flavours are doing very well,” informs Inderjeet. Interestingly, even though there are a number of microbreweries in Gurgaon, restaurateurs say that each place has been able to sustain business. “It is because the demand never went down. Microbreweries promise a revenue of over 25% in the restaurant business in Gurgaon,” says Manish. If there is one city in India which is popular for its microbreweries, it is Bengaluru, with Gurgaon right behind in the number of microbreweries. However, some restaurateurs feel that so many microbreweries might not be a good thing for business. “I think we have an oversupply right now, and there is too much clutter. It might be too early to talk about what this clutter can lead to in the long run, but it is actually not good for business. While pub owners might say that they are earning revenue from microbreweries, it is a tough time to be in this market. It is not easy to sustain the competition that has come up in the last few years,” says Vikas Sachdeva, managing director, Downtown Group, who came up with one of the first microbreweries in Gurgaon in 2011.